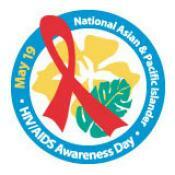 What does the Asian Pacific Islander National HIV/AIDS Awareness Day mean to me? I have never heard of the Banyan Tree Project nor National Asian & Pacific Islander HIV/AIDS Awareness Day, which falls next month on May 19. Each year A&PI Awareness day is sponsored by Banyan Tree Project. 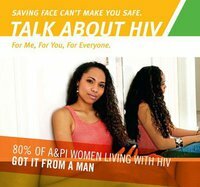 National Asian Pacific Islander HIV/AIDS Awareness Day goal is too highlight the negative stigma, lack of communication and general awareness of HIV/AIDS in the API community. The theme for 2012 is “Saving face can’t make you safe. Talk about HIV–for me, for you, for everyone.” An idea that is very important to highlight in our community. Growing up as a Queer Chinese Asian American; I have seen the hush, hush of just talking about the queer community. It’s something you don’t acknowledge nor talk about subject. Heck, I didn’t even know that there are community groups out there dedicating themselves to informing and educating the Asian Pacific Islander Queer community. Over the years, I have to learn to embrace myself, my community and all those that are a part of it. It was recently that I became even deeper part of the queer community and making myself part of the local API group, Asian Pacific Islander Pride, which had made me aware locally of the Asian Pacific Islander community and events. This is step one of many steps in my life to make myself a more engaging part of the API community. I’m proud for simply reaching out and help to increase awareness, decrease negative stereotypes and providing information that helps keep people informed. Just like the other National HIV/AIDS Awareness Days, it is very important to embrace awareness into the ethnic groups of all backgrounds as those are the ones who generally are looked over and forgotten. I am glad that we, the Queer Asian community, are standing up and putting a voice to bring education and awareness to help make HIV/AIDS less of an impact while ending the stigma of being Queer in API community. The motto this year is for you to make our issue, your issue. Go and simply Speak Up! Get yourself involved in an organization, like Asian Pacific Pride, that you feel strongly with. It’s all starts with YOU. What does A&PI HIV/AIDS Awareness Day mean to you? On October 15th, the last day of Hispanic Heritage Month, I alongside my many peer activists, educators and friends recognized the National Latino AIDS Awareness Day (NLAAD). This year’s theme, Save a Life, It May be your Own. Get Tested for HIV, challenges us to educate ourselves about our own status and get tested, recognizing that regular and consistent testing is perhaps the best tool to combat this disease. Every 9 ½ minutes, a person in these United States is infected with HIV… every 9 ½ minutes! All of us who work in this field recognize that more and more these days, the faces of those infected are that of our people, young Latinos and Latinas like me. In the shadow of the day to come, I stopped and thought about what got me started in this field and why I continue to do what I do today. In 2004, I had the privilege of attending the 11th Annual Ryan White National Youth Conference on HIV/AIDS held here in Portland, Oregon. The conference was a gathering of over 600 young activists, educators, students, and health professionals. In essence, RWNYC was a gathering of anyone and everyone who worked around, was interested in, or impacted by the issues of HIV/AIDS in young people. For me, this was the first time I had ever attended an event of this type. Quite honestly, going to this conference was a bit outside my comfort zone! I don’t recall if it being my first time was what made me nervous or whether simply because I went to it alone, at the last minute request of a mentor. What I do remember, quite vividly, was sitting in the opening session of the conference, meeting and talking with a young man who was in attendance. This young man was so charming with quite the lively personality. He was Latino, he spoke Spanish and he was young so we pretty much hit it off during that entire session. I remember conversing with him during the whole hour long plenary. He made it, being there…comfortable, he made it…relatable to me. Towards the end of the plenary, there came a point where folks had a chance to introduce themselves and share a bit about his story. This young man got up and shared a bit about himself. For a young closeted boy like me who grew up in a small suburban neighborhood of Portland, HIV/AIDS was probably one of the last things on my mind. Looking back at it, this young guy, a guy I simply talked to for an hour at an opening plenary of a conference, probably changed all that! Attending the RWNYC and meeting that young guy represented a fundamental shift for me personally. Attending that conference was the hook that started my work as a peer educator and activist in the field of HIV/AIDS. Getting to spend those days there made me realize just how prevalent HIV/AIDS is, how impactful it is on communities I am a part of: my Latino community, my young people community, my LGBTQ community just to name a few. The conference got me to see and understand the many issues and problems that impact those affected by this disease including stigma, misinformation and fear. More importantly though, getting to meet this young man who in many ways was just like me, was life changing. In many ways I saw myself in him. We match every perceivable demographic yet our lives were very different in one way: our statuses . Getting to meet him and know him humanized HIV/AIDS. Getting to hear his story and know who he was allowed me to see how real and significant HIV/AIDS is in our community and in our lives. It has been six years since I attended that conference and in a way I am saddened to see these numbers of infections and the number of folks affected by this illness continue to rise. More worrisome is the notion that within our communities this illness is still not talked about nor understood. I am very lucky to be afforded the opportunity to travel around the country and speak about this very illness and the faces of those in the forefront of this battle give me inspiration to continue. Young, powerful activists of color are leading the fight for education and understanding of HIV. Young people are leading the battle by speaking out in their communities, encouraging others, and forging allies all in the goal of ending this struggle. Adolescents with HIV/AIDS, Allied Advocates, HIV/AIDS Activism, Prevention and Support; all of these things are on the rise and are tools in the battle against HIV/AIDS. 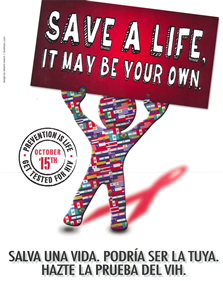 The National Latino AIDS Awareness day is designed to shed light into these issues and so many more. NLAAD is designed to be the spark for someone else like me, as a young boy, to get involved in this struggle and finally bring it to an end. So, with that said, every October 15 (and every day for that matter), take a moment or two and share this message with someone you care about. 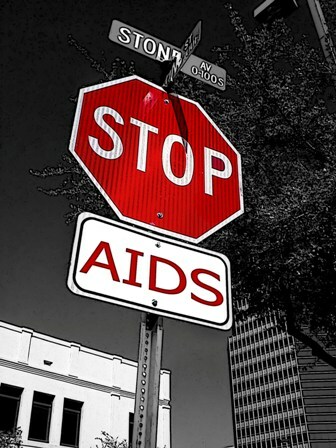 Take a moment or two and talk about HIV/AIDS, educate, inform, and pass the message along! Apoyo Latino is the Oregon Spanish speaking HIV/STD Hotline provided by Cascade AIDS Project. Apoyo Latino provides culturally relevant HIV/AIDS information, support, and referrals to the Latino and/or Spanish speaking community. It is a confidential and free service open Monday through Friday from 9:00 a.m. – 5:00 p.m.
Hotline Counselors have quick access to thousands of up-to-date local and national resources and can make appropriate referrals as needed. Many calls include referrals to HIV/STD testing sites, AIDS services organizations, legal, financial, substance abuse, domestic violence, physical or mental health care, support groups, and GLBTQ services. Counselors are also able to help HIV+ callers get connected to the support services they need including case management, legal, housing, prescription coverage support, financial, housing, and transportation assistance. If you or someone you know is infected or affected by HIV/AIDS or STDS and need assistance you can call anytime during our hours to speak with a compassionate and knowledgeable individual. Es un programa de Cascade AIDS Project que ayuda a la gente con VIH/SIDA a conectarse con servicios relacionados con el VIH/SIDA. Todos los servicios son gratuitos y están disponibles para todos, posean o no documentos. Horario: Se atiende de lunes a viernes de 9am a 5pm. What if we could get celebrities like Mario Lopez , Penelope Cruz, Carlos Mencia or Antonio Banderas to answer the line…?